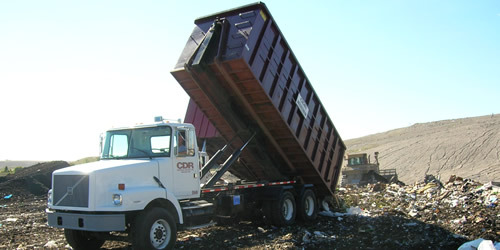 CDR provides a level of service unmatched by other dumpster rental companies. 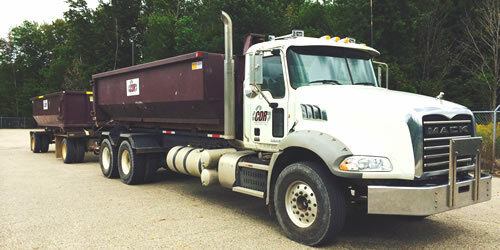 Our expert staff is here to make dumpster rental in Grand Rapids or anywhere in West Michigan a quick and easy process. We’re a locally-owned, family-run business with more than 50 years experience in the waste hauling industry. We have a large inventory of roll-off containers in stock and ready for delivery to your home, business or job site. CDR is committed to recycling all types of debris whenever possible. Call us at (616) 318-0835 for your next debris hauling project. We offer competitive pricing that is all-inclusive, meaning all of your delivery fees, pick-up fees and taxes are included in our quoted price. It’s our way of making renting a dumpster in Grand Rapids or West Michigan as hassle-free as possible. We have a wide variety of dumpster sizes available to choose from: 10, 15, 20, 30 and 40 yard containers. No matter what size clean up project you have, whether it’s a small cleanup or a major demolition project we have the right size dumpster at the right price. Local, reliable, affordable waste removal from CDR Disposal.